I don’t watch “Game of Thrones” regularly, but when I’m flipping through the HBO channels late at night and I come across it, I usually keep it on until the end. Recognizing it’s popularity, Vulture offers an alternative to the more mainstream designs populating the internet right now. 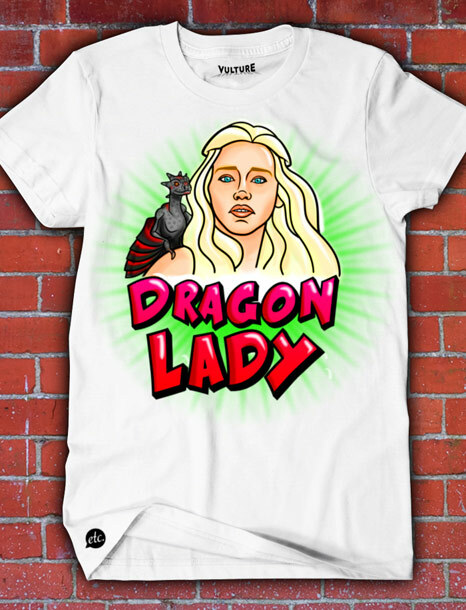 My favorite out of the 7 Jon Defreest designed t shirts has to be “Dragon Lady” – but where the hell is the Tyrion Lannister shirt?